There was a cool assortment of happenings — from new products to live demonstrations to plenty of friendly nail techs — at the ISSE (International Salon & Spa Expo) in Long Beach over Jan. 31 to Feb. 2. Here are some of the interesting things I saw. Did you attend the show? How was your experience there? Leave me a note about it in Feedback. 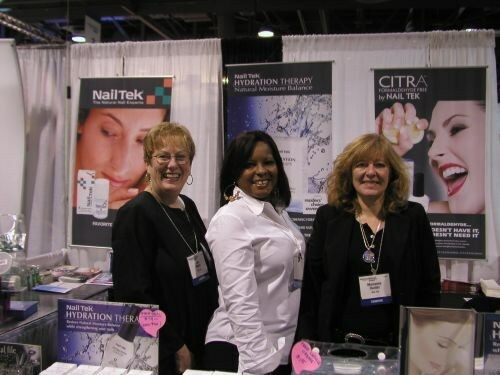 NailTek master educators Jan White, Saverne Smith, and Marianne Hunter chatted with me about the industry. Nail Labo’s Shinya Fujinami, Yoko Ohno, and Chia Ho talked up the company’s newly launched Presto Gel System, which boasts a five-second curing time (more to come on this in NAILS Magazine). I tried out the ergonomic nail station from new company RadaPro. It elevates the client’s hand for nail tech comfort and has an optional attached soaking bowl, swiveling polish holder, and product organizer. Studying up on the latest trends for newly opened ROB|B: An OPI Concept Salon, Robbie Schaeffer and Nadine Galli stop by the OPI booth to talk to Robbie’s father (and OPI founder) George Schaeffer. At It’s so Easy, Charlotte Benson (check out her nails!) does a “stained glass nails” demo on Kristal Sullivan. 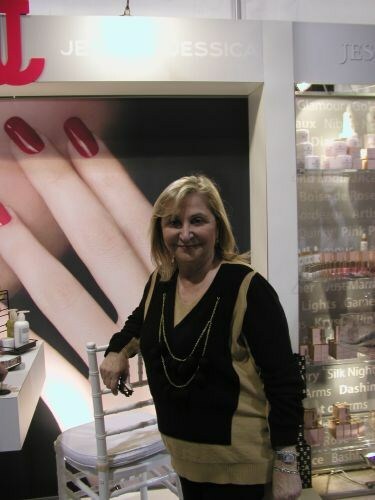 Jessica Vartoughian, founder and CEO of Jessica Cosmetics, poses for a snapshot in the company‘s booth. B.B. Couture’s Vince Zezula, Jennifer Zezula, and Christine Rivera let customers try out the company’s new glitter candle (the wax is great massage oil). Joia Bear, Leo Esquivel, Lynne Osbourne, and Rudy Lenzkes let me know that many California Mango products are now available at Sally’s Beauty Supply. FootsieBath of Beverly Hills’ Susie Vinokur and Mike Vinokur explained the manufacturer’s new Easy Access Tray to me. 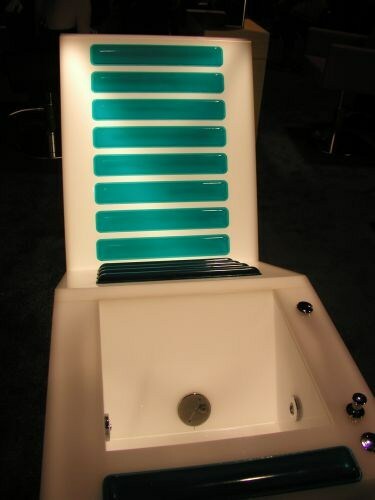 Salon furnishings company Design X, who recently opened a Long Beach, Calif., showroom, displayed this pedicure spa prototype (the slanted design features gel pads for client comfort). It may be rolled out within the next six months. 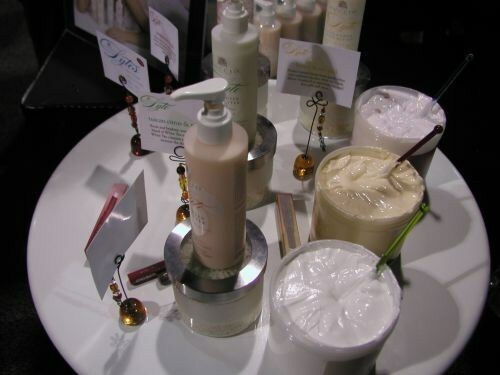 Cuccio Naturalé’s body butters and “Lytes” line of lotions were available for everyone to sample. Christine Vargas, Carol McCoy, Michael Megna, and Candy Steele were happy to celebrate Backscratchers Salon Systems’ 25th anniversary at the show. 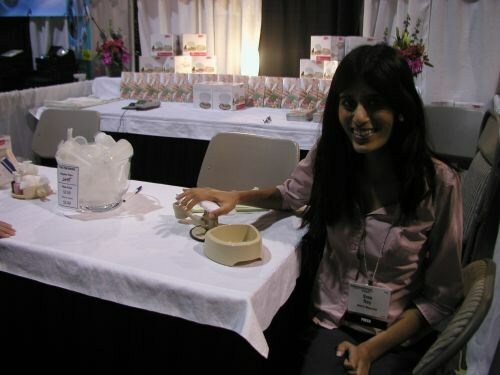 Frania Garcia shows off some of PediSation’s product line. With all sorts of great scents, the products are perfect for use in Signature Services (lavender pedicure, anyone?). 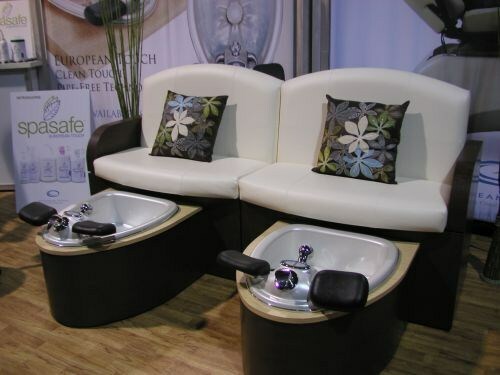 European Touch launched new modular bench seating pedicure chairs. The company is also expanding more into the salon furniture field (read upcoming issues of NAILS to view some of their furnishings) and releasing a disinfection product called SpaSafe. The nail competitions drew some exciting entries. 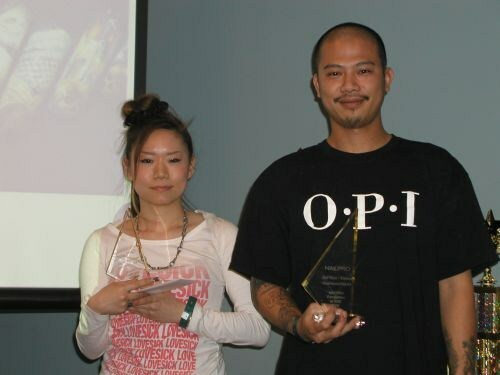 Here, Nana Kanomat accepts her third place win for Hand Painted Nail Art (veteran), and Vu Nguyen takes second. Zoya gave away cases of polish to the first place winners at the veteran level. From left to right: Trang Nguyen (1st in Salon Success and Design Sculpt), Lynn Lammers (1st in Sculptured Nails), and Yoko Kino (1st in One Hand Painted Nail Art). Congratulations to all of the winners!